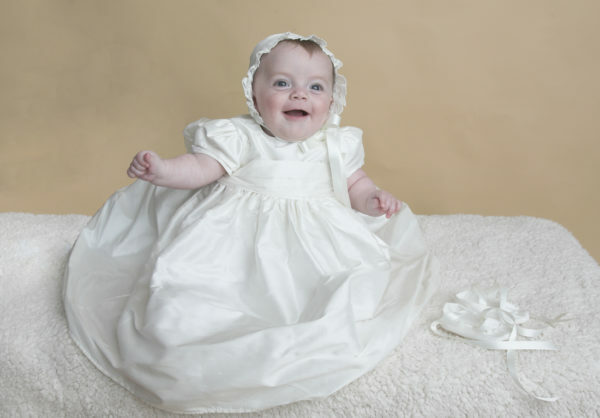 The 'Ciara' Christening Dress is simply elegant. 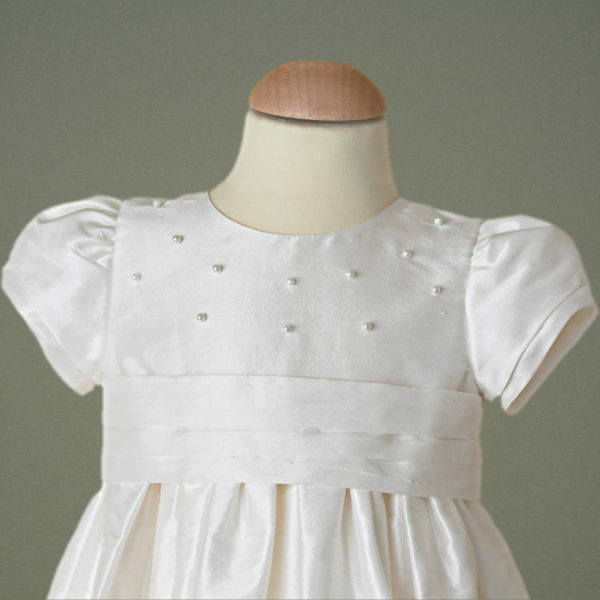 Handmade using 100% dupioni silk; completed with handsewn pearls to the bodice. 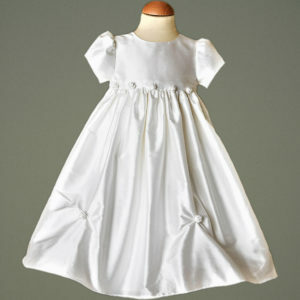 This dress has stylish double capped short sleeves and complimenting pleated silk sash to the waist. 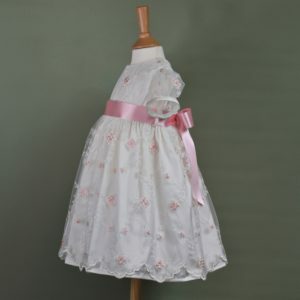 The dress is fully lined with 100% cotton lawn and is finished with handmade silk covered buttons. 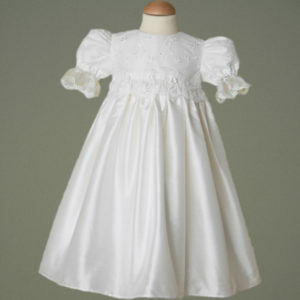 The ‘Ciara’ Christening Dress is simply elegant. 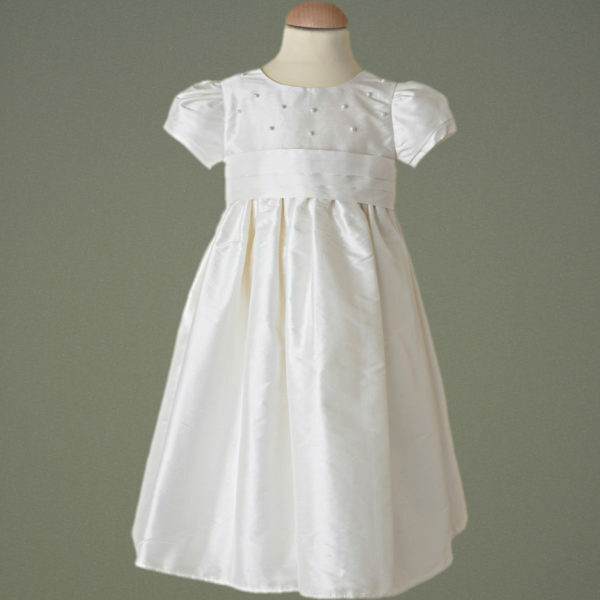 Handmade using 100% dupioni silk; completed with handsewn pearls to the bodice. This dress has stylish double capped short sleeves and complimenting pleated silk sash to the waist. 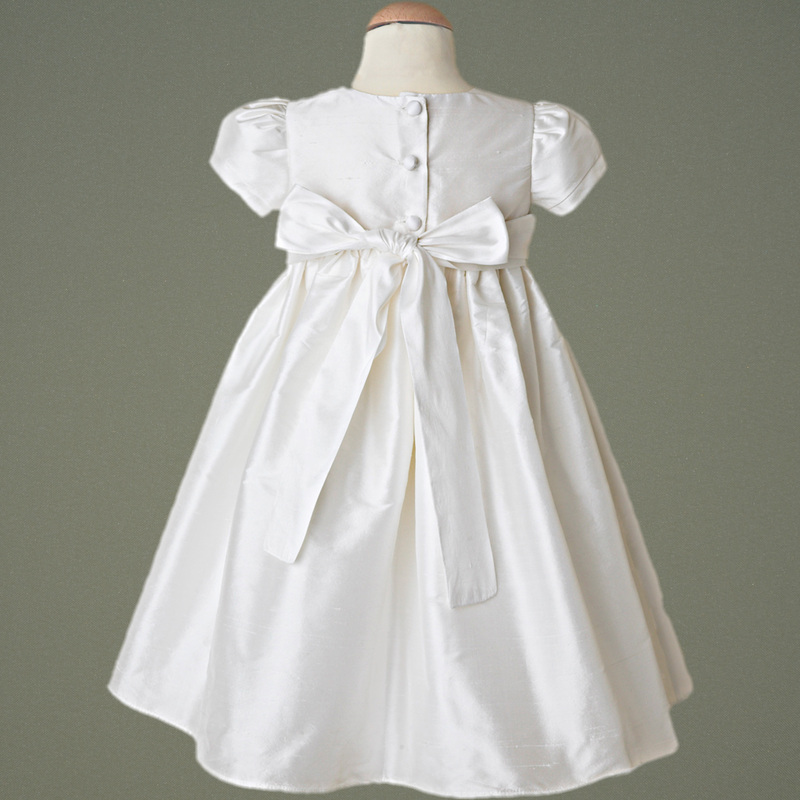 The dress is fully lined with 100% cotton lawn and is finished with handmade silk covered buttons. Made in Ireland. 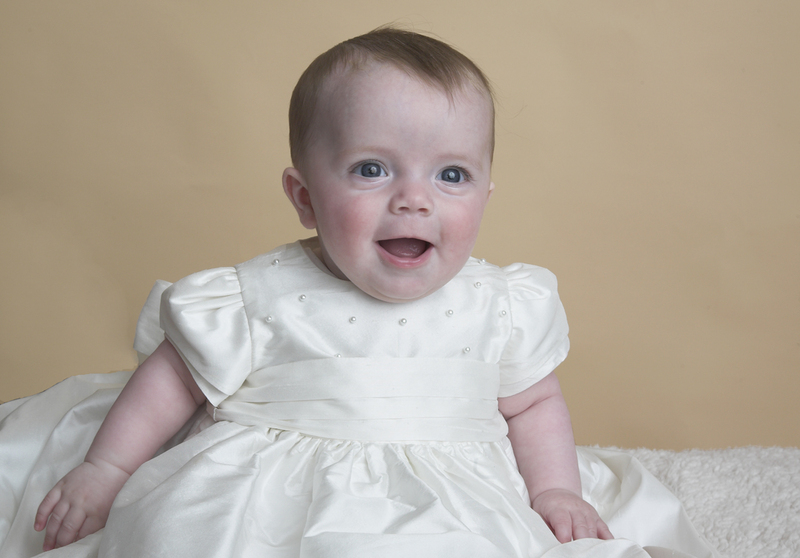 The ‘Ciara’ Christening dress is available in both Ivory and White Dupioni Silk. Coordinating ‘Ciara’ accessories are available to accompany this dress. 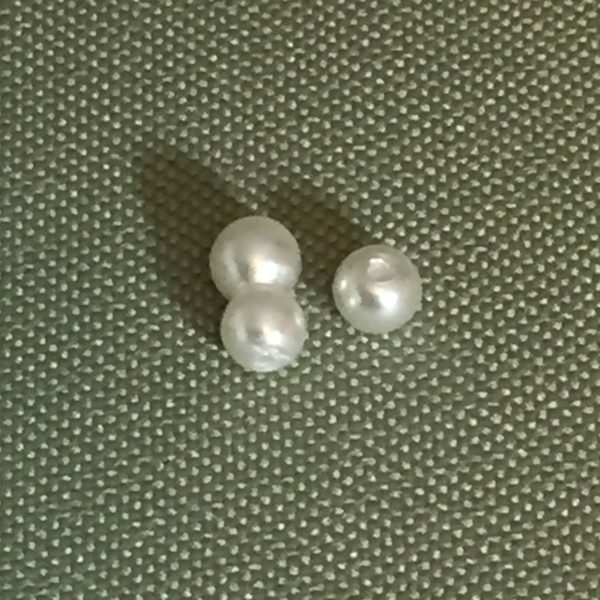 Sizing: Please measure your babies chest circumference under the arms and length from shoulder to calf (or where you would like the dress to finish). Please don’t add growth and wriggle room as we will do this based on your event date. This will ensure that your garment fits perfectly.